Joakim Noah hasn’t been around lately, but debuted as a Memphis Grizzlies player on Wednesday. 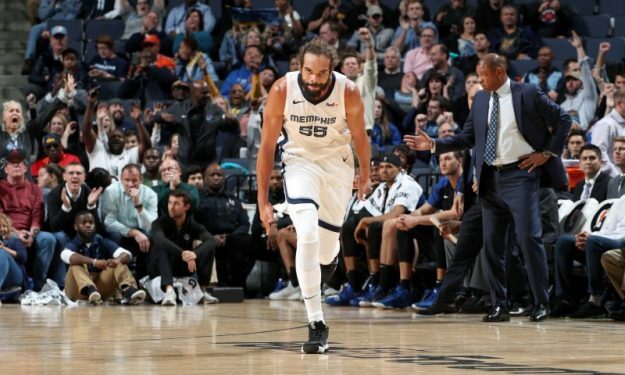 After signing for the remainder of the 2018-19 season with the Memphis Grizzlies, Joakim Noah played his first match with his new team and helped in the win against the Los Angeles Clippers. He got his first points at the end of the third quarter and sank a mid-range shot in the fourth to reintroduce his imaginary guns. The former Chicago Bulls and New York Knicks center finished up with those four points with 2/5 from the field. He also grabbed three rebounds in 13 minutes.